Traditional etymology traces the origin of Varanasi’s name to the names of 2 of the tributaries of the Ganges, flowing near the border’s of the city, Varuna & Assi. In the Rig Veda, one of the oldest doctrines of Vedic life, the city finds mention as Kashi, from the Sanskrit word Kas meaning “to shine” thus making a seat of attaining enlightenment. 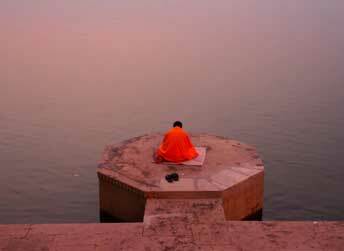 Hence it comes as no major surprise that many a pilgrim, including The Buddha meditated in Varanasi and attained enlightenment. Aligning to such mystic precedence, Varanasi has many alternative epithets such as Avimukta (the place never forsaken by Shiva) ; Anandavan (the forest of bliss) ; Rudravasa (the place where Rudra resides). Adding to its mystic value, Varanasi is the only place where the Ganges actually turn course to flow south to north as opposed to the conventional north to south. From epic to lore to history, all have been witness to the growing reputation of Varanasi as a center of spiritual atonement, the corner stone of which being, yogic meditation. The proponent of yogic meditation is believed to be the first yogi ever, none other than the founder of the city of Varanasi, Lord Shiva himself. Recorded documents and archaeological evidence suggest that yoga was practiced in India as early as 5000 BC. 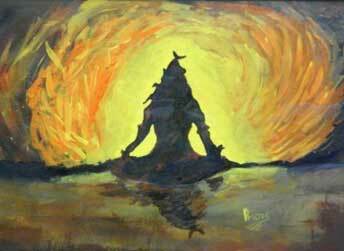 In Yogic culture, Shiva is not seen as a God but as a being who tread this land and is the root of all yogic tradition. He is the Adiyogi or the first yogi and also the Adi Guru or the first guru. The first transmission of yogic sciences happened on Kanti Sarovar (Grace Lake OR lake of Grace) a glacial lake in the Himalayas, where from began a systematic demonstration of this technology, of connecting with one’s spiritual self through yogic meditation. Yogic meditation like Gharana Music has been an art which gurus have been passing information onto their disciples or students over generations. Due to lack of a proper disciple, many a guru have died without being able to pass on their knowledge to the next generation. Even Lord Shiva, it is said, stored all his knowledge about the 7 styles of Yogic meditation in Mount Kailash because he could not find the right disciples who would grasp his knowledge. Hence Mount Kailash is a revered and sacred pilgrimage in Hinduism & Buddhism, because of the energy stored in it. It is a library of all yogic knowledge and yoga is a vehicle of liberating inner energies to connect with the cosmic consciousness. And Varanasi or Kashi is epicenter of cosmic connect. It is a microsm of the great macrosm that the cosmos is. A replica of constantly evolving absolute consciousness. An instrument to enable the phenomenal possibility of a human being to connect and unite to the cosmic reality, the absolute consciousness of which we humans, are parts and parcels of. And the possibilities are stronger if you find the right guru, who can teach you the right techniques of yogic meditation, and help you choose the best vehicle for strengthening the chances of one’s connecting with the inner spirituality. A tenured guru can identify the right yogic meditation for a prospective student, assign the right discipline, routine and even diet for an expedited rate of success. Yogic meditation is not a push button technique and doesn’t have instant gratification, but with correct tutelage and sincerity and dedication, it has said to have many a soul and helped the find peace and happiness in their surroundings and life. For students, both Indian and foreign who wish to partake a course under the watchful tutelage of reputed and famed gurus, and who are committed to the discipline with seriousness and patience, we offer the opportunity to practice meditation for stipulated and pre-decided periods of time in the traditional environment of Vedic culture. 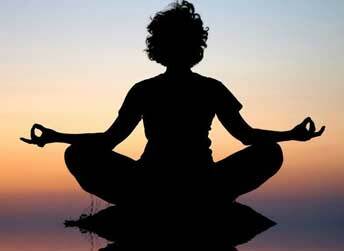 Among other different styles of meditation offered, include Vipasanna. 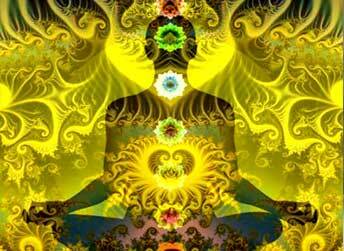 Vipassana, the word in itself refers to a direct experiential perception. 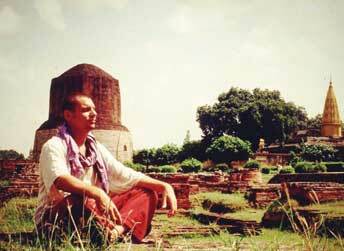 The advent of Vipasanna which involves insight through direct perception, happened in early Buddhism and gained popularity in Sarnath where Buddha offered his first preachings.